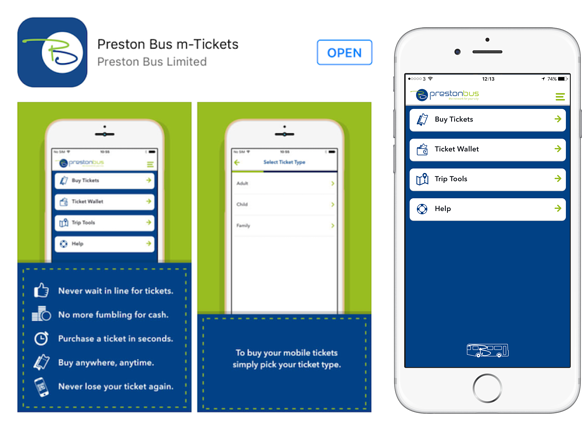 Preston, 5th November 2016 - We are excited to announce that the Preston Bus m-Tickets app is now available for passengers to download and use to board all Preston Bus services. Passengers can download the Preston Bus app to their Apple or Android smartphone by searching ‘Preston Bus m-Ticket’ in the appropriate app store. They will then be able to choose from a range of tickets that Preston Bus offers; including daily, weekly and 28-day tickets which are paid for using a credit or debit card. The virtual tickets will be stored on the passenger’s phone and can be shown to the driver when boarding. The easy to use, intuitive application has been designed to remove passengers’ reliance on the existing ‘exact change only’ fare policy, which can cause frustration and delays due to fumbling for the right change at boarding time. In contrast, passengers can now access tickets to display with just a few taps. 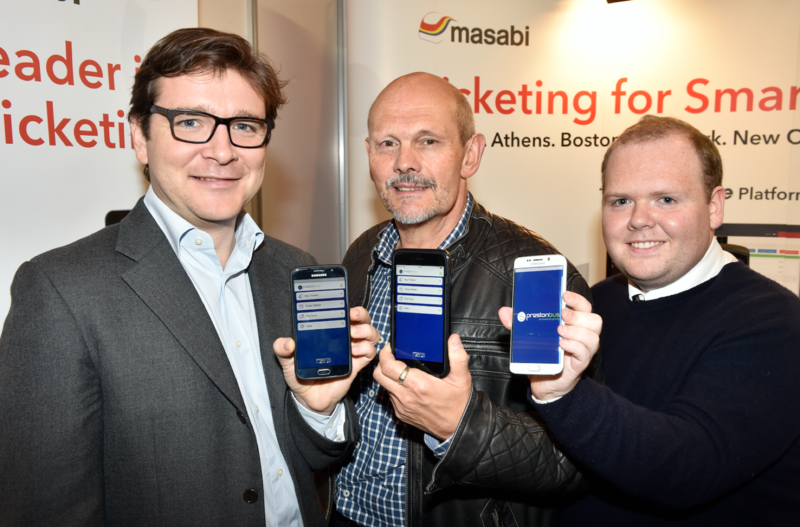 The deployment of Masabi’s JustRide mobile ticketing platform was announced at EuroBus Expo last week, and is part of a strategy to maintain fast boarding times, while meeting the increasing passenger demands for great customer service. A recent study has shown that mobile ticketing, where a customer buys a bus ticket on their own mobile phone instead of cash on board, reduces passenger boarding time by up to 9 seconds per passenger. This will benefit all passengers, whether they use mobile ticketing or not, as journey times around the city should be reduced. Whilst Preston Bus will continue to accept cash from passengers as required, with the introduction of mobile ticketing the company hopes to be able to reduce bus dwell time by as much as 50% by 2020.